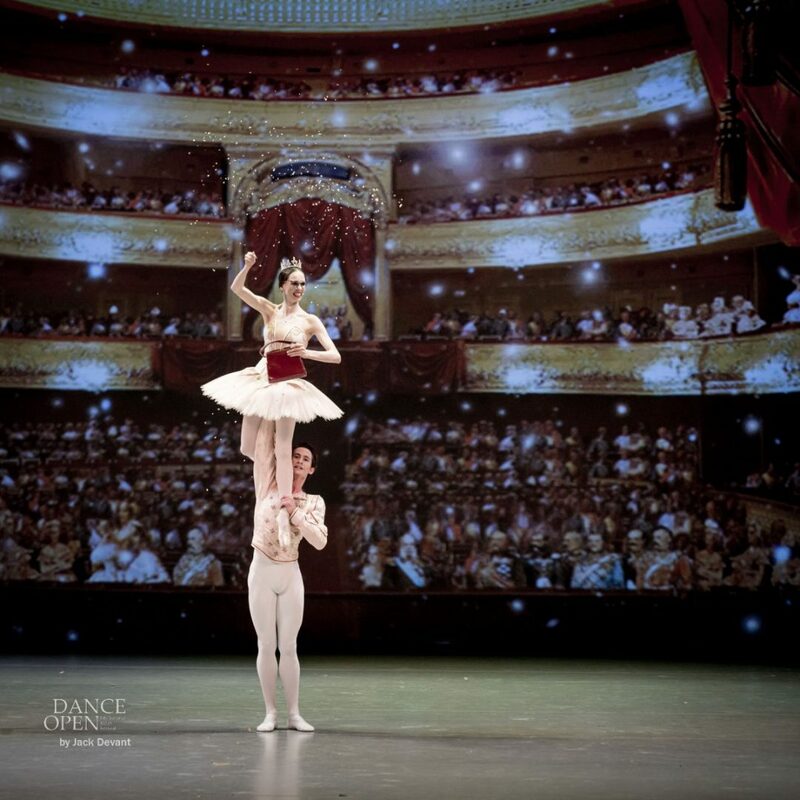 Viktorina Kapitonova and Alexander Jones in Le Grand pdd, music Gioachino Rossini, choreography by Christian Spuck. Shot at Gala Dance Open 2016 on 25.4.2016 im Alexandrinsky Theatre, St Petersburg, Russia. Viktorina Kapitonova is currently Prima Ballerina with Ballett Zürich. She is a native of Russia, studied at the Kazan Ballet School and Moscow’s Bolshoi Theatre Academy. A winner of “The Young Ballet of Russia” competition and of the “Arabesque” contest, Kapitonova danced from 2005 onwards at the Jalil Opera House in Kazan, she was a member of the Stanislavsky Ballet for the 2008/2009 season; and she joined Ballett Zürich in 2010. 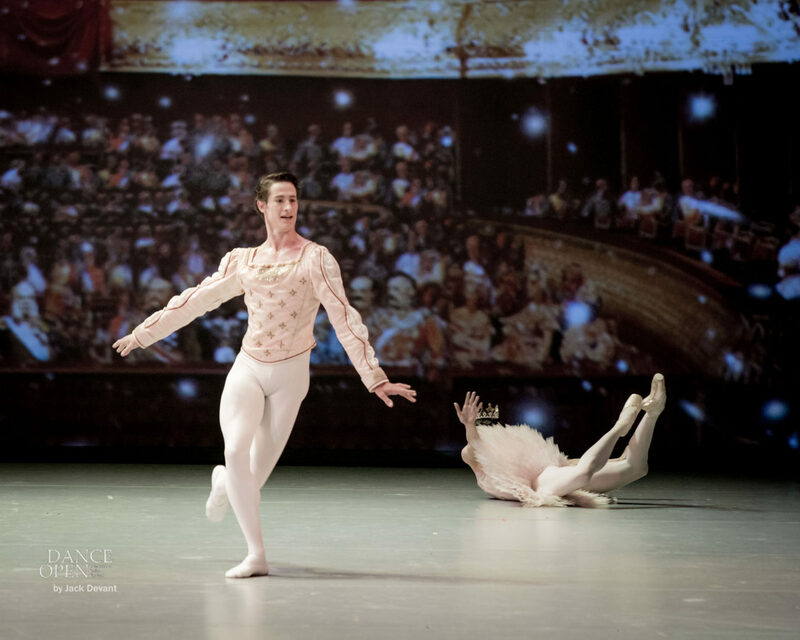 Alexander Jones is Principal Dancer with Stuttgart Ballet. He was born in Rochford, Essex, Great Britain. He received his ballet training at the Royal Ballet School in London and graduated in 2005. He joined the Royal Ballet School on tours to Japan and New York. He also took part successfully in several competitions. In 2004 he won the gold medal at the Adeline Genée Competition in Athens and he received the Dame Ninette de Valois Prize in 2005. 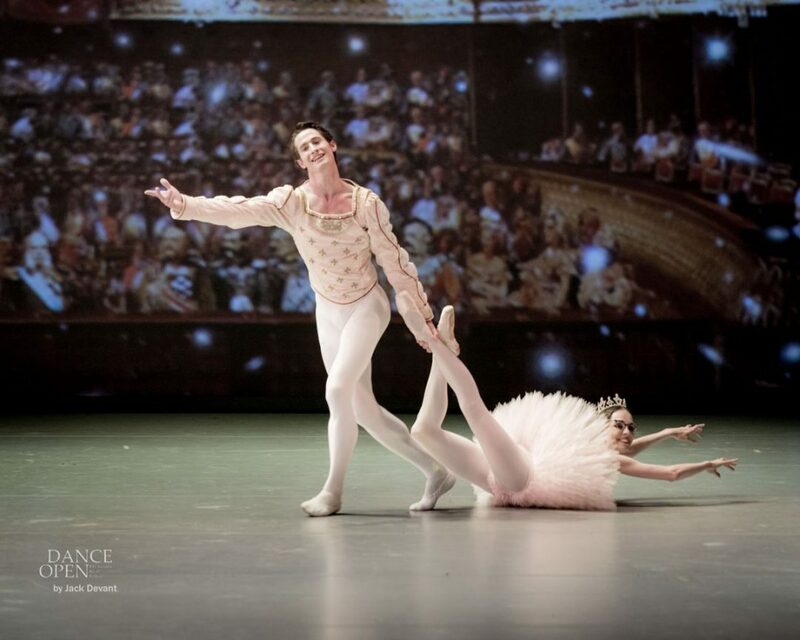 In 2005/06 Alexander Jones joined the Stuttgart ballet as a member of the Corps de ballet. In the season 2007/08 he was promoted to Demi-Soloist, in 2008/09 to Soloist. After an amazing debut as Romeo in John Cranko’s Romeo and Juliet in April 2011, Artistic Director Reid Anderson promoted Alexander Jones to Principal Dancer from the season 2011/12 on. Christian Spuck was born in 1969 in Marburg, Germany and trained at the John Cranko Schule in Stuttgart. From 1993 on, he was employed as a dancer, initially with Jan Lauwers’s Needcompany, then with Anne Teresa de Keersmaeker’s ensemble. In 1995, he joined Stuttgart Ballet, soon started to choreograph in his own right and was appointed choreographer in residence in 2001. Spuck earned his international reputation with imaginative narrative ballets above all. Christian Spuck took charge of Zurich Ballet for the 2012/2013 season. Le Grand Pas de Deux is very funny parody of a ballet pas de deux, choreographed by Christian Spuck of the Stuttgarter Ballet, has apparently become a repertoire favorite.